ComfortMaster is conveniently located in Cold Spring, NY. We are licensed, insured and meet all the HVAC industry qualifications to provide you with assurance and great service. We were founded in 1997, and since then, thousands of customers have benefited from our heating and air conditioning services. We’ve created a reputation as a trusted company in in the Hudson Valley, NY area. But don’t just take our word for it–Check out our customer reviews! 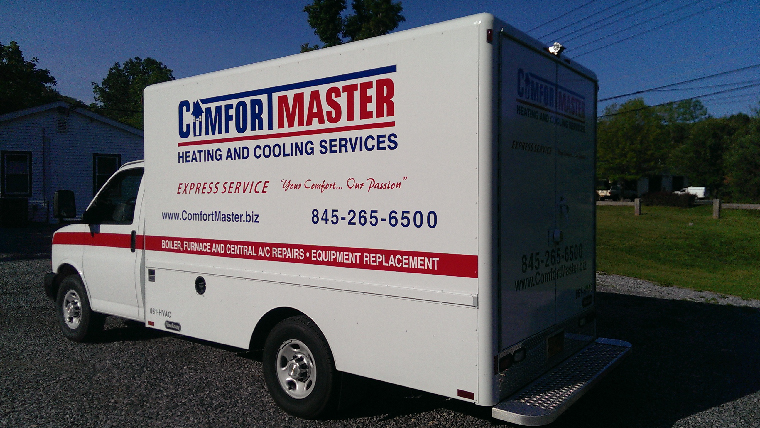 Why Choose ComfortMaster For HVAC Contractors? There are dozens of heating and cooling companies in the Hudson Valley, NY area to choose from, so why choose us? Our trained employees take what we do seriously! We take special pride in our professional craftsmanship. Our technicians take pride in their work, and they respect your home. They will cover the floor where they are working, using drop cloths or runners, and they will wear foot coverings to protect your floors while walking around. When we finish our work, either for the day or the complete job, the area will be cleaned as well as or better than the way we found it. We pledge to always tell you, up front, what the costs will be to complete your job correctly. We discuss all the details with you and tell you if there are any limitations in the proposed system that will affect your complete satisfaction with the end result. Our technicians stay current with technical issues affecting your home’s air systems. You can trust that we’re sending you experienced, knowledgeable, and expert technicians! We take the time to make sure we are always providing you with the most up-to-date information and technologies. When we arrive at your home, we ask questions; sometimes, we ask a lot of questions. Through questions and answers, we help our clients narrow in on a solution that best fits their circumstance. Our goal is to make sure that you have all of the facts in order to make a decision that’s right for you. We don’t send a salesperson. We send a knowledgeable technician—someone who will ask proper questions, listen to your needs, and provide appropriate suggestions, and act in your best interest. To further prove our trustworthiness, we provide guarantees on various services. Check out our full guarantee.